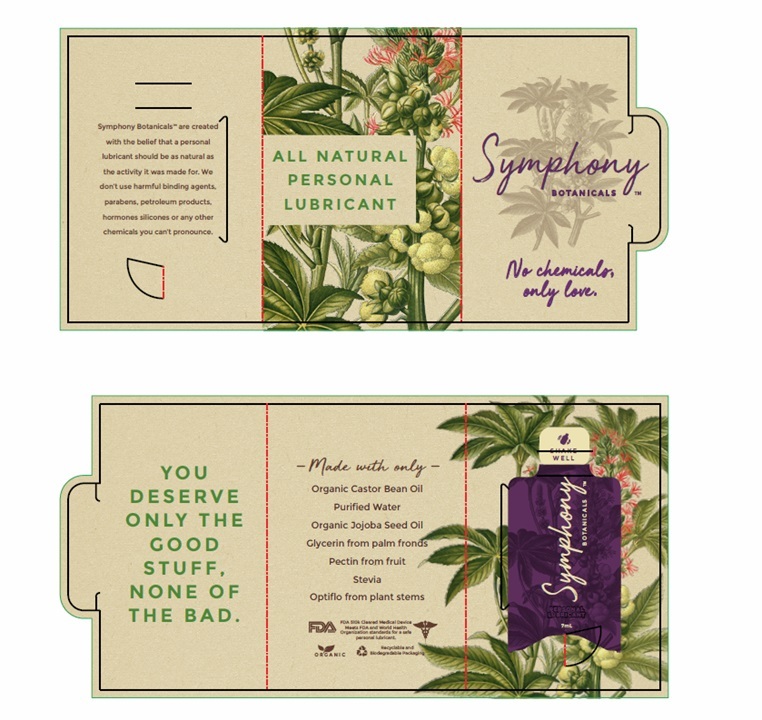 Symphony Botanicals are created with the belief that a personal lubricant should be as natural as the activity it was made for. We don't use harmful binding agents, parabens, petroleum products, hormones, silicones or any other chemicals you can't pronounce. You deserve only the good stuff,none of the bad that's why 7 simple ingredients make up Symphony Botanicals Personal Lubricant.